NOTE: If you have any question concerning Big Brother Naija, kindly ask it by posting it in one of our comments box below and you'll be answered by the Admin, Thanks!! Hello Samson, thanks for question. You can only use an international passport. Well said Ebinagbome, don't let anyone ask money from you, the big brother naija application is free. Good luck Ebinagbome and please make sure you don't miss out on the Auditions because they're being held on 26th and 27th of November. i have a valid international passport but it is recently expired, do i still qualify? No you don't qualify, please make sure you only come with a valid passport to avoid being disappointed. Please can one come along with his/her national voters valid card along to d audition dat is if we don't have d valid international passport den? Hello Xeexee bae, the national voters valid card won't be accepted. It's only a valid international passport that can't get you into Big Brother Naija. Please take note of this. am already in lagos for the audition and from Gombe state and i seriously not having a valid passport, pls what am i to do. What you can do is to make sure that you renew your passport as soon as possible if it's expired or get one if you don't have one. Thanks..
Greetings Admin, How Come the Advert On GoTv Says National Identity Card,But You Are Insisting On The International Passport... Please Do Well To Explain... Thanks! Big Brother Naija will host the contestants in SA so it's important that you have a valid Nigerian passport. Hello Nero Smith, what you need to take part in the Big Brother Nigeria auditions is a valid Nigerian passport, not a National identity card. Hello Felix, we just want to correct you on something. Big Brother Naija will not host housemates in SA. 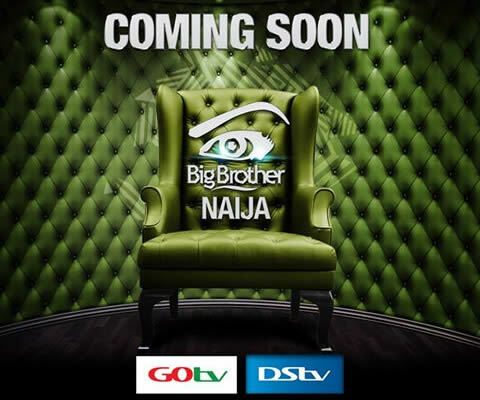 The housemates will be hosted in a house located here in Lagos, Nigeria. Hello Isabella Johnson, the answer is No. A person needs to be above 21 years of age to participate in the big brother naija auditions. You've already been answered above..
Hello Kelvin Clifford, thanks for showing your interest in participating in big brother naija but you need to have a valid Nigerian passport, a voters card alone is not enough to get into the auditions. Hello Felix-Donflexyfear Ernest, it's true a valid Nigerian passport is required for one to participate in big brother naija but we also need to correct you on something. Big Brother Naija will not host housemates in South Africa like you've mentioned here, all the BBNaija housemates will be hosted in a house located here in Lagos-Nigeria. So you guys mean you won't be running the audition nationwide? Or at least zone the audition. Ho do you expect every body intresred to start travelling from difrent part of the country down to Lagos, what's the fun there if you can't get people from difrent tribes, culture and realgion to partispate in this your reality show, you could as well call BIG BROTHER LAGOS. @Anonymous,very good point.my thoughts exactly. Hello Anonymous, the big brother naija auditions were also extended to Abuja and Port Harcourt. Below are the exact venues in Abuja and Port Harcourt. - ABUJA: MultiChoice Nigeria office, plot 1548, Ademola Adetokunbo Street, Abuja. - PORT HARCOURT: Hotel Presidential, 5141, Aba Road, GRA Phase II, Rumuola, Port-Harcourt. Hello Larsson, you're not paying for the big brother naija forms. Hello Good evening big brother, I have a valid passport.. But please I need to know if there are fees to be paid for the application form or any other event that might come up at the venue of the event.. Please I need proper information about the question asked above.Thank you..
Hello Olorunfemi, there won't be any other fees. Please just come for the auditions. Hello Moses Audu, it's true big brother naija auditions at the venues you've mentioned above are being held. The dates are 26th and 27th of November 2016, we hope you find this answer useful. - MultiChoice Nigeria office, plot 1548, Ademola Adetokunbo Street, Abuja. And maybe to put things clear, what you exactly need is a valid Nigerian passport. Good evening big brother, I can't wait to hit the road for the audition. I have all the requirements. Pls, can someone attend the audition on Sat or sun or it has to be the two days? Hello there, you need to attend the big brother naija auditions just once (either Saturday or Sunday). If there is any new updates and information, it will be communicated to you at the audition venue. What are we really going to face in the auditions? What should we expect? How can you purchase the form in other African countries like Sierra Leone? Hello...good evening, any audition this year. Please I will like to know when and where the auditions for next year's big brother will be holding?